This luxury no turn mattress features a ReActive 8 pocket spring system. Each ReActive spring has 8 active turns - independently and actively sensing your shape and weight distribution, providing comfort and support exactly where you and your partner need it. Damask to provide an exquisite, soft and silky sleep surface. 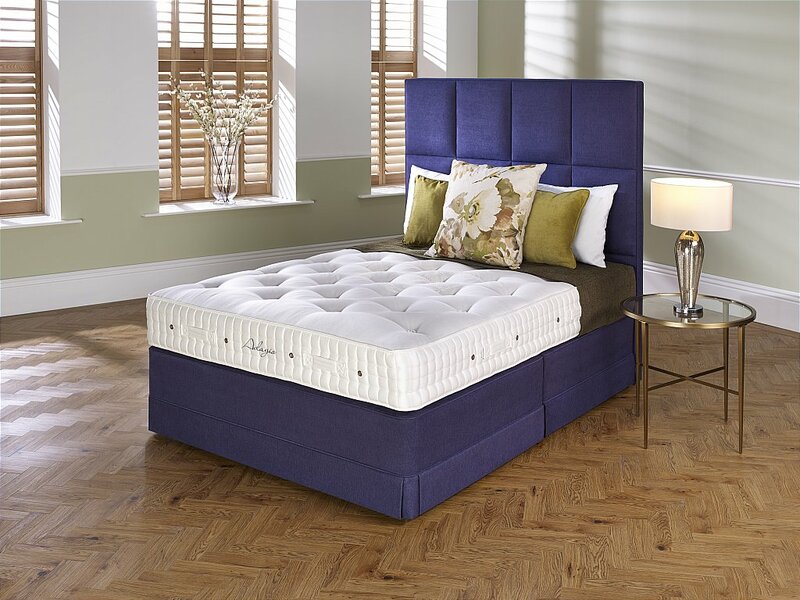 Match with a sprung divan with 1,000 pocket springs in a 150cm for additional deep comfort and support, or with a solid top divan for a firmer feel. Choose an upholstered headboard to crown the bed. A personal design statement - headboards and divans can be upholstered in a range of fabrics to match any interior, creating a stunning bedroom centrepiece. Finishing touches - hidden storage drawers, a choice of feet or a divan skirt. I would like more information about Adagio Mattress by Hypnos.